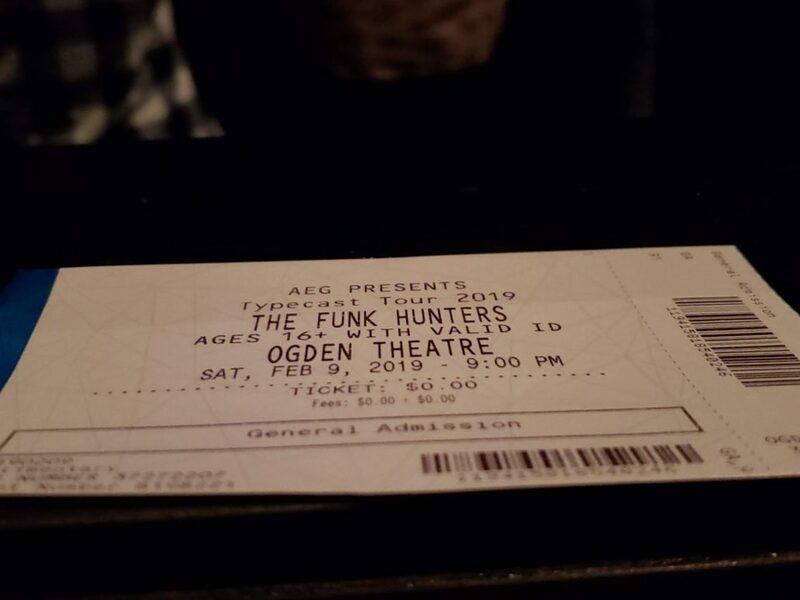 The Funk Hunters and company brought the ruckus to the Ogden Theatre on Saturday, February 9. 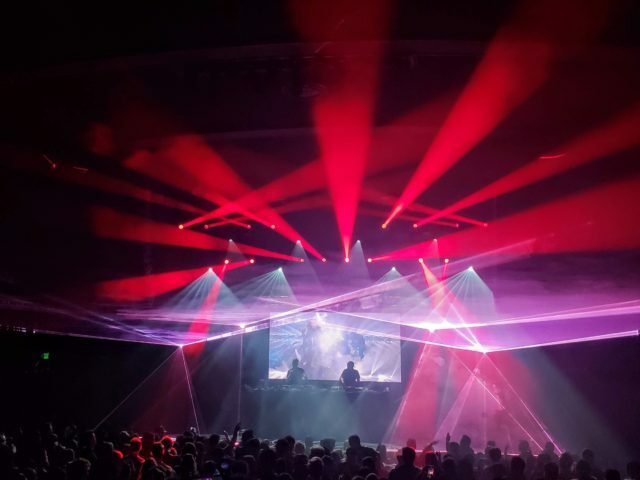 Downtown Denver was buzzing with the electronic sounds of the Vancouver group on tour supporting their latest album Typecast. The original Typecast LP features collaborations from Leo Napier (GRiZ / Gramatik), DiRTY RADiO, LIINKS, Paul Brenning, Dynamite MC, and Steven Beddall. Jessica Y. and I attended the event after getting to know The Funk Hunters music. She had seen the duo perform perviously in Denver, and was excited to catch them live at the Ogden Theatre. She was also pumped to see the opening acts. FunkStatik and Jenaux brought a heavy use of samples to the stage. 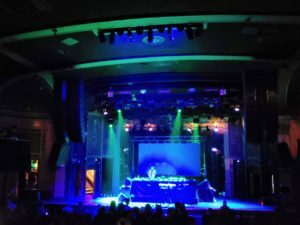 In contrast, JackLNDN did mainly original material, but the audience appeared to be more engaged with tracks featuring a higher BPM, beats per minute. During the opening acts a young male was dancing up a storm. His ability to dance like no one was watching was amazing. His love for EDM was written all over his face. JackLNDN provided a synthesized mix of electronic beats during his set. He is originally from London, but moved to Colorado three years ago. A heavy influence of House music could be felt throughout Jack’s live set. Additionally, the evening also provided international talent from The Funk Hunters. They travelled down from Vancouver to perform in venues across the Uniter States. The Funk Hunters originally caught my ear when they did a collaboration project with Chali2na. The duo from Canada has been able to tap into West Coast funk, as well as Gangsta Funk, also known as G-Funk, and create a modern form of electronic funk. These two producers have found a direct line to modern soul music in America. Furthermore, they have cultivated some of our finest culture within music in decades. I tip my hat for their future thinking production methods. They combine the buzz from EDM, and layer it with juicy beats that mirror multiple generations of funk music. Watching the band live on Saturday reconfirmed my assumption that The Funk Hunters are one of the next big acts to take over live music. It was a treat to be able to catch their show at the Ogden Theatre. The venue only holds 1,600 people. 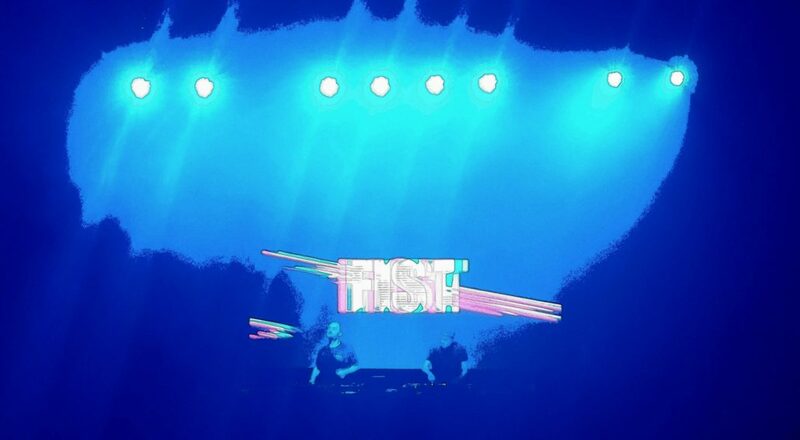 In addition to the Typecast tour dates, the duo has also scheduled three festivals so far for this summer. Stream their latest album Typecast on YouTube. Connect with The Funk Hunters on social media for updates.